Sand Springs CHEF is a support group for Christian families who have made a commitment to homeschool. 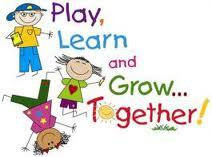 We have kids ranging from pre-K to High School Seniors. We have members from Sand Springs/Prattville and many surrounding communities such as Sapulpa, Mannford, West Tulsa, and others. Our dues are $10.00 per year. Please contact the group leaders for more information at - sandsprings@chefok.org.